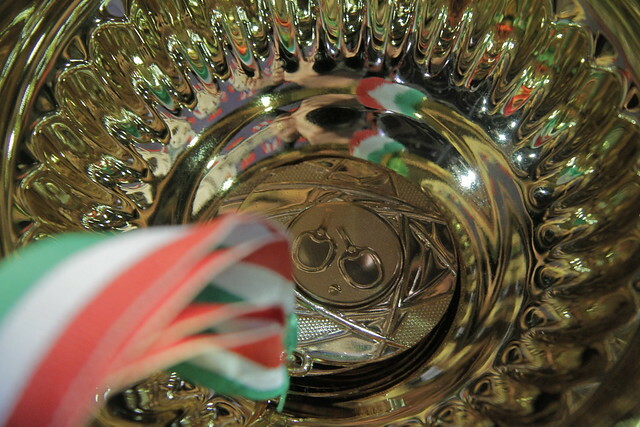 Wednesday 17th January marks the second day of the qualification tournament which precedes the Seamaster 2018 ITTF World Tour Hungarian Open as players return to the tables to compete for main draw places in the senior categories while the closing stages of the two Under 21 competitions will also be played out. Mihai Bobocica and Thiago Monteiro enjoyed positive outings on the first day of qualification action with both the Italian and Brazilian earning comfortable victories in their opening two group stage encounters. Now the two players will meet face-to-face and with first position in the group on the line there’s plenty at stake for both Bobocica and Monteiro. The race to reach top spot in Group 14 could also be worth watching closely as Poland’s Jakub Dyjas and Hungary’s Adam Szudi do battle. While the former of the two players will head into the tie as the slight favourite to prevail, Szudi could mount a decent challenge and will have the home fans backing him all the way. Disappointment for Ng Pak Nam in his opening fixture of the campaign: the Hong Kong representative will have to be at his very best against the Ukraine’s Yevhen Pryshchepa in the final Group 17 fixture if he is to keep his Men’s Singles qualification hopes alive. Over in the Women’s Singles qualification event there is an exciting duel on the cards in Group 2 as Egyptian competitor Dina Meshref and Kinga Stefanska of Poland go head-to-head. Both Meshref and Stefanska emerged from their respective meetings against Czech contestant Kristyna Stefcova with five games victories. Only one of the two can progress from the group – who will come out on top and extend their qualifying journey? Sibel Altinkaya is potentially one win away from earning a place beyond the qualification group stage but to achieve that goal the Turkish star must see off Croatia’s Mateja Jeger in the sole remaining Group 41 encounter while a fierce duel between Italy’s Giorgia Piccolin and Germany’s Wan Yuan will decide the race for top spot in Group 33. Under 21’s action will feature on day two of the qualification tournament with silverware to be won in both the Under 21 Men’s Singles and Under 21 Women’s Singles categories and the two doubles events will also commence with preliminary qualifying round matches.